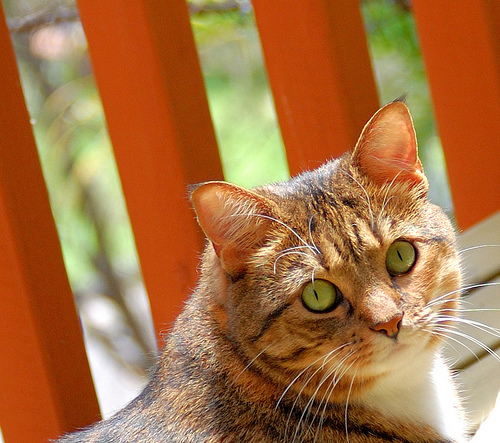 It's the time of year when mosquitoes are out ready to make a tasty snack out of your dog or cat. That means that the risk of heartworms for your pet are more prevalent because mosquitoes carry heartworms. I decided to make a list of common heartworm prevention medications to help pet owners be able to tell the difference between all of them. I know it can get confusing when choosing heartworm medicine. There are so many different brands available today and they all do different things. Please also note that I will only be going into the details about heartworm prevention in this post. Some products do provide protection from fleas and other parasites as well. 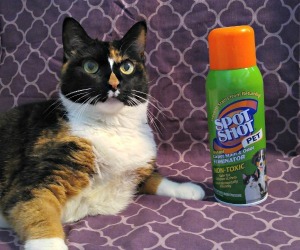 I hope to do a similar post about flea prevention in the future. Heartgard Plus is probably the most popular form of heartworm prevention available for dogs. They also make Heartgard for cats. It comes in a soft meaty chew that most dogs love. It's safe for dogs who are older than 6 weeks. It's given once a month - most vets recommend to use heartworm prevention year round, depending on where you live. It contains the drugs Ivermectin and Pyrantel pamoate. Both are common dewormers for many types of animals. My personal experience with Heartgard has always been positive. The drug Ivermectin kills any of the baby heartworms a dog may have picked up during the month's time since they last took their heartworm medication. 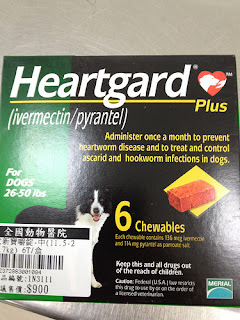 I've read some misinformation lately about heartworm prevention and how it works and just want people to know that it's a dewormer... it kills worms that have already begun to live in your pet. The Pyrantel will kill and protect against roundworms and hookworms the same way. There are some cheaper generic brands of Heartgard Plus available as well. I actually use one of them for my own dog. It's called Iverhart and has the same ingredients and does the same things as Heartgard. The only real difference is that Iverhart comes as a hard chewable flavored tablet. Many picky dogs do not like this. Fortunately, my Shiner doesn't mind so much. I've always had good results with this heartworm prevention medication. Tri-Heart Plus is another cheaper generic version of Heartgard Plus. It contains the same ingredients, but again comes as a chewable hard tablet. I have no personal experience with this brand of heartworm medicine. Sentinel is another oral heartworm preventative. It does not contain Ivermectin, however. This may be a good drug choice for dogs who are allergic to Ivermectin. Sentinel contains the drug Milbemycine oxime which is effective against heartworms. It's a once a month hard chewable flavored tablet. Dogs must be 4 weeks old and over 2 lbs to be able to take Sentinel. Sentinel also protects dogs against other parasites including roundworms, whipworms, hookworms, and flea eggs. This protection is offered from the drug Lufenuron. 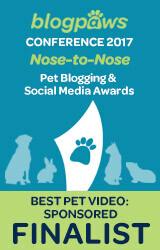 Many pet owners get confused and think that Sentinel is a flea prevention. It can help with fleas, but it will not prevent adult fleas from living on your dog. It only sterilizes them and makes them unable to reproduce. I have had a positive experience with Sentinel. Interceptor is a cheaper generic version of Sentinel that I've also had positive experience with. Trifexis is a chewable flavored tablet for dogs that is given once a month. It protects dogs from heartworms as well as fleas, hookworms, roundworms, and whipworms. It's safe to give to dogs that are older than 8 weeks and weigh more than 5 lbs. The active ingredients in Trifexis are Milbemycin oxime and Spinosad. I personally don't have any experience with this heartworm preventative option and haven't heard too much about it. Now we are starting to get into some of the topical heartworm preventatives available to pets. Revolution is a monthly topical heartworm prevention. Revolution offers a product for dogs as well as cats. Be sure to use the appropriate medication for your cat or dog. 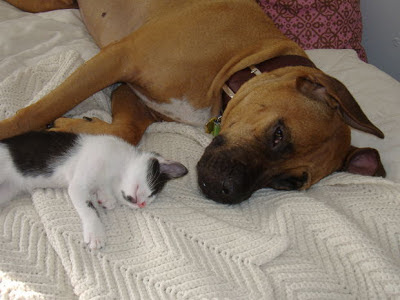 It's not safe to use dog medicine on cats. The active ingredient in Revolution for Dogs is Selamectin. It's labeled for use to provide dogs with additional protection against fleas, flea eggs, ear mites, sarcoptic mange, and American dog ticks. It can be given to dogs who are at least 6 weeks old. I personally have not had a good experience with Revolution for heartworms. Many dogs were still coming up heartworm positive while taking Revolution, so our clinic actually stopped selling it. It is great for the treatment of other parasites though. Revolution for cats also provides monthly heartworm protection in a topical form. In addition to heartworms, it is labeled to protect against ear mites, fleas, flea eggs, one type of hookworm, and one type of roundworm. It also contains the drug Selamectin. Off label, I have seen this drug used for rabbits and ferrets. We've used it to treat ear mites, sarcoptic mange, maggots and more on a variety of animals. This doesn't mean you should try using Revolution on other pets without the consent of a veterinarian. Advantage Multi is another popular topical heartworm preventative for both dogs and cats. Again, there are separate products available for each species. Advantage Multi for Dogs is also effective against fleas, heartworms, roundworms, and whipworms. Dogs who are older than 7 weeks and weigh more than 3 lbs can take Advantage Multi. It contains the drug Moxidectin, which takes care of the heartworms and Imidacloprid which takes care of the other parasites. I've had good experiences with this drug and would recommend it. Especially if you're looking for something that protects against both heartworms and fleas. Because it is a two in one drug, it is more expensive. However, the cost adds up to be about the same as if you bought heartworm and flea prevention separately. Advantage Multi for Cats is effective in the prevention of Feline Heartworm Disease. Yes, cats get heartworms too. If you're interested in learning more about this, I've written an article about it that you can read. Advantage Multi for Cats is a topical once a month prevention that is safe to use on cats that are older than 9 weeks and weigh more than 2 lbs. It's also effective against fleas, roundworms, hookworms, and ear mites. It contains the drugs Moxidectin and Imidacloprid. I've also had good experiences with Advantage Multi for Cats. Choosing Heartworm Medicine - Which One is Right for Your Pet? Choosing heartworm medicine can be difficult. I hope this list has helped you clear up the differences between all of the common preventative medications available. They all do very different things and all contain different drugs. I have found that many pet parents can become overwhelmed choosing heartworm medicine for their pets. If heartworms are a concern where you live, your pet should be taking the proper dose of heartworm medication year round. Mosquito repellents are not adequate forms of heartworm prevention, although they can be helpful. Also, it is common practice for a veterinarian to perform a heartworm test once a year. A negative result is needed before more heartworm prevention medicine can be prescribed again. Just like with people, dogs and cats need to see their doctors on a regular basis to continue receiving medication. Some people will fuss about this, but just know that it is a very common practice. Are heartworms a threat where you live? What type of prevention do you use? Disclosure: I am in no way affiliated with any of the brands mentioned above nor was I compensated for talking about them. I am just sharing my knowledge and experience of the different brands of heartworm prevention medications available on the market. Great informative post Ann. We get ours now on-line and we keep to the same brands that we have always had. Peeps doesn't like the idea of swapping and changing. Have a terrific Tuesday. That's good Molly - not much point in changing if it's working for you! That was really good! We are HUGE fans of Trifexis!!! No allergies from it like I've had before with others. We have seen maybe 3 fleas in 1 1/2 years and only then because I saw them jump on Max outside and didn't give the Trifexis a chance to work even but we really swear by it for heartworm, fleas and worms and the pills are small. It's pretty expensive but if you don't want fleas either on your pup and you are allergic to them as I am - it's worth it for sure! Cool Max - good to hear that it's a nice product. I just haven't had any experience with it before. I'm sure it's more expensive because it does fleas and heartworms. Those always seem to be more pricey. I had a very bad experience with Trifexis! We had to have multiple heptograms because of the liver damage that 3 months on this product caused my dog. It was as if we were adding poison - very lethargic, vomited, and liver enzymes were off the charts! Thank God I got him off the drug before we lost him. Great post! We do have to be mindful of heartworms year round here and our vet prefers Iverhart. Earlier this year there was a recall and sure enough our package was on the list. What was interesting to me is the argument we had with our vet about it... the company did not inform "their" vets! Yea they did have a recall unfortunately. That's interesting... whenever products were recalled, the company we got them from would always send us a letter about it lol. Great info. We use Heartguard Plus. I have had extensive conversations with our vet about Heart worm meds. Mostly I wanted to know if he has seen failures of certain meds and particularly the one we use. :) It is a fairly large clinic so I figure he has a good idea of which ones work. He would recommend several, but Heartguard works for us. I am wondering about the guarantees for different brands? If you have seen failures, has the company paid for treatment? Heartgard will definitely pay for treatment if you are purchasing it through your vet. If you purchase heartworm meds online, the manufacturer will not pay for treatment because no one really knows the safety and quality of meds from online pharmacies. As far as I know, other brands will also pay for treatment if you can prove that you've been purchasing it through your vet. Most of the time, failures are due to something like the dog was pretending to eat the meds, but really hiding them somewhere. Or owners split the meds in half to share between their pets. Thanks for the info. I have often told people that I did not think that the manufactures would not pay for treatments if purchased at places other than your vet. Now I know. Sure no problem. It's because the online pharmacies are not purchasing these products from the manufacturer and they companies can't promise the quality of the products. I think many online pharmacies get their heartworm meds from veterinarians selling them on the black market. Not exactly sure though. This is an awesome post Ann! Titan has been on Heartgard ever since we got him. He thinks he's getting a treat and loves that once a month goodie. My area, Delaware, is prone for heartworms so I can't take enough precautions with my baby! Definitely passing along this info! Great stuff! Thanks Bren :) I've been meaning to ask where you live because I realized I didn't know? lol Dogs do love the Heartgard. Yep, little ole Delaware where its mostly small minded people and very judgmental. haha Animal laws here are very lacking too, thus I take matters into my own hands and am over cautious with T.
Thanks for this information - we will check what's the best for me. Great post! Ours were on Interceptor for a long time, but after Novartis stopped producing it, they have been on Iverhart Plus. However, I've been mulling over Sentinel and Trifexis too. We still use Interceptor, it's the safest to use for collies who have drug sensitivities. Interceptor is not being made in the USA, but it is being made in Australia, by the same company. You can order it through Vet-N-Pet direct. I had heard that Interceptor was going through some sort of shortage right now, which is unfortunate. Sentinel is the same thing as Interceptor, just more costly. @Collie222 - Yes, I remember reading plenty of comments from Collie and Sheltie parents wondering what they were going to do after Interceptor going off the market. It's good to know that it's still being produced in Australia. We use Heartgard and have been happy enough with it. Grwat post and so far we are free and clear! Wowweee, that was an excellent and well researched post!! Nice one! I personally use Trifexis and have had no problems whatsoever (hm, well except that I hate the taste) with the pills! 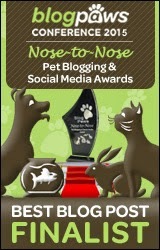 I started using it as soon as I was old/heavy enough and (cross your paws) have had no parasites! Domeek likes it because there aren't multiple things to take monthly...just one! The only downside is that the meds are pretty expensive...I think a six month supply costs around $150 for my weight. Sounds like Trifexis is a good one :) It is convenient to only need to take one thing a month instead of multiple things. That does sound a bit pricey =/ But I'm sure you'd spend close to the same on separate meds. I never go out but understand the peeps may bring mosquitos inside with them. Still my peeps can't afford anything else and they really don't like using topical chemicals on me. It's nice to know the alternatives that are out there. Unfortunately, mosquitos are aplenty here. I use Trifexis, because we also have flea problems, and I take two of my dogs out and about. It doesn't protect against ticks, but I work them over, and have never found one. I, personally, am pleased with it. I wish I didn't have to give my dogs monthly chemicals though. Such an informative post! There is just so many heartworm medications out there it can get very confusing for pet owners. We use to use Interceptor until they stopped production, so now we're using Heartgard. Both have worked well for us. Trifexis is really popular out here and mom heard that they are supposed to be coming out with a type of Trifexis that prevents ticks too! That's pretty cool! This Trifexis sounds like a hit so far. Thanks for this!! Was great..have you heard anything about Seresto? especially for little dogs? Seresto is pretty new, and I don't know much about it. I believe it's only for fleas and lasts a considerable amount of time. Sorry Andrew, I don't have any experience with that particular drug. There are a lot of suggestions above in the article. What about Bravecto? Our vet recommends it, but I have read about some dogs having a bad reaction or health problem with it. What is the truth? What about Bravecto? Is it safe for my babies? Hey there - unfortunately I have no experience with Bravecto. Also, it isn't a heartworm medication but rather a flea and tick medication. There have been alleged fatalities and other long-term side effects due to Bravecto. Please do your research. There's a lot of info on it worldwide with a lot of heartbroken owners. Our vet won't approve a prescription for Tri-Heart Plus because she says there have been fatalities. I cannot find anything on the internet about it. She will approve Heartgard Plus, though. I thought they were the same thing?? I am not familiar with Tri-Heart personally, but it just appears to be the same thing to me. It's made by Merck, so different company than Heartgard. Here in TX, there is a law that veterinarians cannot deny approving prescriptions for medications from other pharmacies different than their own. Not sure if it would be the same where you live or if this would apply since it's a different "brand" of medicine that the vet doesn't like.